About Alyson: I am an intuitive holistic healer, educator, and communicator. My methodology is to rehabilitate, redesign and realign the energetic bodies to achieve the desired results. During a session I use various natural healing elements and healing techniques I have been trained in. This work supports chronic and new injuries, behavior changes, and trauma experiences. Sessions are great for routine preventive, maintenance, and performance concerns. I work with horses, cats, and dogs and people ! Newly launched product-Animal Neckware with healing stones you can see on my website. Location: Golden, Colorado – although Anna does clinics all over the world. My intentions are to learn as much as possible and heighten my energy awareness so that I may be of greater service to others. Location: Sisters, OR, which is located at the eastern base of the Cascade Mountain Range. About Bill: I have been doing healing work on horse for 15 years. I worked on Eventing and Dressage horses for five years and then went full time with top clients in the National Cutting Horse Association. After working for three years with Phil Rapp, the number one most winning trainer in the history of the NCHA, I was part of the team that helped his incredible mare “Don’t Look Twice” win the 2011 Horse of the Year Award in the NCHA. My clients have earned over 2.6 million dollars in earnings. I am certified in four different healing art modalities and have also worked on people for 20 years. I now work primarily in the Central Oregon area and I do long distance healing on a global basis. Please review my website and feel free to contact me for a consultation on how I can be of service to you. Location: central coast of California. Cindy also works with People, Animals and Organizations, in the US, Canada and Europe. About Cindy: and I am an Intuitive/Psychic ~ offering readings for people and animals, , I a Reiki Master/Teacher, a Coach and a Healer. My work incorporates many forms of Energy Medicine, applied Kinesiology, Vibrational Medicine (homeopathy and flower essences), and Therapeutic Essential Oils. I offer private Readings (people and animals), Intuitive Coaching, Classes and Healing Sessions. I teach classes in Reiki, Animal Communication,, Energy Awareness/ in Leadership, and Energy & Vibrational Medicine Courses . My mission is to enhance the healing potential for people and animals through communication, energy and vibrational medicine, nutrition, and viewing the whole picture, not just the problem. I love empowering and teaching people to trust and utilize their own intuition and guidance, through classes, readings and various techniques..
At March 2013, I am in the process of opening an Integrative Therapy and Educational Center, for both People and Animals, in the central coast of California. About Donna: I am Masterson Method Certified Pratitioner: This work is unique in that it provides precise osteopathic joint release in the key junctions of the horse’s body that most affect performance. Utilizing the horse’s immediate response to this work provides the intel for how the work proceeds and the ensuing benefits. As our horses are expected to fulfill their athletic potential, the Masterson Method TM, enables top performance in all disciplines and at all levels of riding. Donna added… I connect at the heart with horses. With my hands and breath, I listen. I touch the horse all over and he/she tells me where they are restricted and feeling tension. I facilitate the horse’s release of that tension. Usually, by the time a horse shows up lame, they have been hurting for awhile (unless it is an acute injury). As you know, horses are very protective so there is a big element of trust. I work very slowly and lightly, utilizing the Bladder Meridian as a guide for my hands and In Balance Horse Aromatherapy to attain the release of endorphins before proceeding. Helen has 16 years experience in Equine & Equestrian Sports Massage Therapies, with 8 years Traditional Chinese Acupuncture & Herbal Medicine. Click here to see Helen’s extended listing. I am most interested in improving the well-being of horses and in improving my ability to communicate with/know them lovingly. I love teaching people how to help heal both themselves and their animals. Modalities– Equine Massage Therapy, Acupressure and The Masterson Method. What Kathleen does: Photonic Therapy, Barefoot Trimming, Licensed Parelli Professional, Equine Sciences Academy (In Progress), Photonic Health Instructor. Integrated Equine’s Mission Statement: To teach relationship building between horse and human and to develop an intimate understanding of horse psychology and physiology through progressive horse keeping. Kelly Ankney Equine Energies U.S.A.
About Kelly: I am extremely passionate about helping horses! I grew up in a holistic home and have continued on with my own family and animals. I began my journey with healing horses by studying to help my own horses. I was blown away with the results, and as people started asking me to work on their horses, my passion became a business that I truly love! I am constantly studying with an open mind and learning new things. Every horse is unique in personality and needs and I treat them accordingly. I have a trainer who I work with and we have developed a whole new system of training a horse, mind, body and spirit. I really love to work on hard cases where the horse has been given up on. They are truly needy and respond in an incredible way and give so much of themselves. I am humbled and continually amazed at how energy work can truly make a huge difference in a horse’s life. About Linda: I’ve been an energy worker for over 14 years and enjoy working with animals – big and small. The tools and processes of Conscious Horse/Conscious Rider and Access Consciousness™ are extremely powerful and facilitate dynamic change and healing. Please feel free to contact me to learn more or to set-up an intro or class. About Lionheart Ranch: Boarding and Training facility offering many modalities of alternative therapies and holistic care and nutrition as well as a nationally renowned equine therapy program. Passions: rehabilitating horses with state of the art modalities and holistic nutrition, healing people using horses’ wisdom, training with a gentle hand and an open heart. Modalities: I am a Certified Holistic Equine Practitioner teaching equine horse owners how to find their horse’s pain points and how to release using acupressure release. About Kate: I offer reiki for all animals for wellbeing, injury, illness, and animals in transition, with house and barn calls I have a broad knowledge and passion for alternative therapies, including homeopathy, and especially reiki. I am studying aromatherapy in the hopes of also incorporating flower essences and essential oils. I also have 20+ years training and working draft horses. Over the last year, I have been studying and evolving my way of being with horses, using the methods of Carolyn Resnick, Jenny Pearce and Klaus Hempfling, among others. 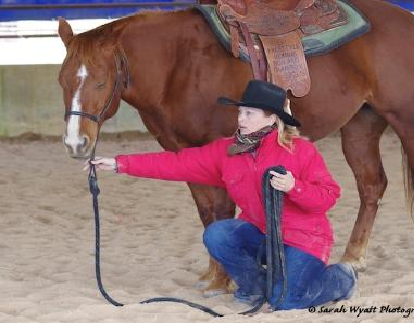 I’m learning the tools for a much deeper connection with my horses based on respect, trust, and willingness which reach far beyond other “natural horsemanship” methods. 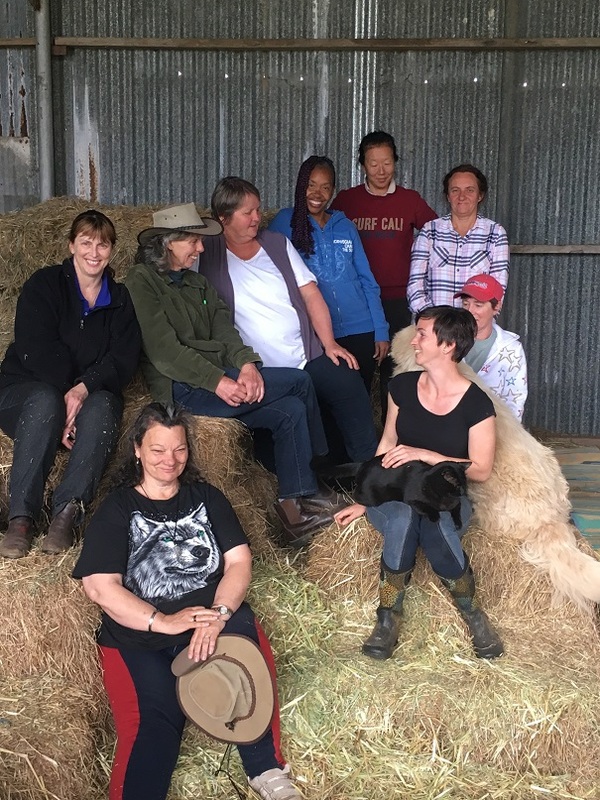 This is an exciting and challenging journey, and my dream is to offer reiki and tools for a more profound and meaningful relationship for animals and humans. Qualifications: I am a graduate of Carol Gurney’s HeartTalk program for professional animal communicators, a Reiki II practitioner, and I also use surrogate EFT to help release a horse’s past trauma and fear. About Maureen: I am an animal communicator who uses compassion and telepathy to connect with horses and other animals. I do some local barn visits, but more than 90% of my work is done remotely, working with clients worldwide. I consult via phone, email, and Skype. One of my specialties is the ability to feel areas of discomfort in a horse’s body. This has proved to be helpful in many cases in which a horse’s veterinarian has been unable to precisely pinpoint the source of his pain. I never diagnose or prescribe, but I can often be helpful in providing a roadmap for the horse’s hands-on practitioner. About Raymond – MAGNETIC THERAPIST Static Magnetic applications for Horse, Rider and pet for all injuries, illnesses and general well-being Physical Magnetics (energy work) following the principals of fluid polarities of the body. Certified in Applied Magnetics through the International School of Magnetic Therapy, London, Ontario, Ca. Qualifications: B.S. Biology/Psychology and Pre-Vet studies, Grand Prix Dressge Rider Olympic and World Cup Candidate, creator of Equimagic Seminars, Reiki Master, Dynamite Specialty Products Silver Director, Coach for Beginners to Professional World Class riders. Susan’s passions: My belief is that less is more and it is our loving responsibility and intention to seek what is for the highest good of the horse. Click here for Tamar’s website. About Tamara: Performance & Therapeutic Bodywork “Horse at Balance” hands-on training for horse owners, teaching horse owners how to read & respond to their horses body language and subtle queues, as well as teaching techniques that encompass acupressure, passive range of motion, and massage. 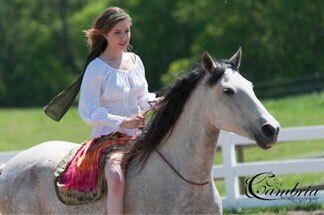 Trish Broersma has worked in the field of therapeutic riding and body-based modalities for the past 24 years. Her best-selling book Riding into Your Mythic Life: Transformational Adventures with the Horse, published in 2007 by New World Library, details her innovative work with teens and adults. She is immediate past president of the Equine Facilitated Mental Health Association, a former section of PATH International (formerly NARHA), where she is a certified therapeutic riding instructor and a faculty member for the Equine Specialist Certification program. About Val: Val Heart The Real Dr Doolittle and Leading Animal Communication Expert. Bestselling CoAuthor of The Live Sassy Formula. Founder of The H.E.A.R.T. System for solving problems with animals My passion is to give your animal a voice so they can be the master teachers, healers, angels and guides they truly are, and can help you transform into a better, happier, healthier person. My goal is to cultivate a global culture of compassion, respect and deep heart connected partnerships by harnessing the power, healing and magic of animal communication. Claim your Free Quickstart to AnimalTalk home study course – go to my website now! What Zsuzsu does: Homeopathic patches for pain, rehab and anti-aging. Ground and riding exercises for realignment and strengthening. Balanced Saddle Fitting.